A decade that promised so much ended up delivering little. Season 1990, was one in which the Magpies ended the infamous 32 year premiership draught. 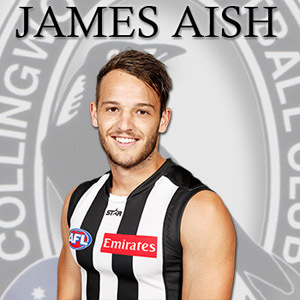 When the presentations were made, then President Allen McAlister said that he expected the next 10 years would be a beginning of a Magpie empire – expecting the club to become a powerhouse once more. His prediction was ten years too early. The premiership hangover lasted much longer then first expected, with Collingwood only making the finals only twice more for the decade, and not winning a final until 2002. Season 1990 will always be remembered by the Magpie faithful. Many young players were filtering through the team, with names such as Brown, McGuane, Kelly, Crosisca, Monkhurst and Graham Wright were all maturing as footballers, and with new blood from South Australia in Scott Russell and Tony Francis blended in with experienced players such as Tony Shaw, Darren Millane and Peter Daicos. The team, geld together by Coach Leigh Matthews, began to grow confidence and believe in itself – a factor which became very important in the Qualifying Final at Waverly Park against the West Coast Eagles. A tight and tough battle all afternoon reached its climax in the dying seconds, where after a piece of Daicos magic, Eagles forward Peter Sumich had the chance of a life time to win the match for his side, from a tight pocket. As the siren sounded, Sumich missed, tying the game – with both sides required to come back and play the next week. When the two sides met again, Collingwood ran all over the top of the Eagles to a comfortable victory. The next week, the Pies faced Essendon, who were fresh from a weeks break. Collingwood dominated all day, and with Brown and Daicos on fire, won commandingly. The Grand Final awaited Matthews’s men. The Pies were again to play Essendon, who had defeated West Coast. After a tight first term, an all in brawl developed in the Bombers forward pocket, with all players and trainers involved. Magpie full forward Gavin Brown was felled in an incident with Dons full back Terry Danaher, and was concussed. Danaher was to be suspended for eight weeks. After the dust had settled, Collingwood came roaring at Essendon, slamming on a six goal to one second quarter to lead by 34 points at the main break. Russell and Francis were starring around the packs, while Monkhurst ruled the ruck against the more experienced Simon Madden. Essendon came out in the third term, ready to give it one final fling – to score only two majors. Brown returned from his earlier injury to inspire the side, scoring his second goal for the day in front of Mark Thompson. Essendon could not score a goal in the last quarter, while Collingwood increased its lead by two goals – thanks to goalsneek Doug Barwick and Monkhurst. When the siren sounded, the ball was left in the arms of Darren Millane – who was to tragically die in a road accident just one year later. The celebrations raged on and on, as skipper Shaw was named best afield. It almost appeared that Collingwood wasn’t ready for season 1991. They never really got started, and ended up missing the finals – a huge drop in form. They began the season on a high, downing Footscray convincingly but soon found a flat patch midseason, where they lost six games in a row. Many players were not performing to their best, as Matthews swang the axe. They then won nine of the next ten matches, putting themselves back in finals contention. It all came down to the last match against Geelong at Kardinia Park, where they put in a disappointing display, and missed out on the final six. As a sad end to the season, star wingman Darren Millane was killed, when he fell asleep at the wheel of his car, and tragically crashed into the back of a truck. Thousands mourned his passing at his funeral. It was one of the saddest days in Collingwood’s long and proud history. Best and Fairest winner was Tony Francis, the small rover from South Australia – a player who was a major cog in the Magpie engine which propelled the side to victory in 1990. 1992 was an indifferent season, where the Magpies, despite finishing third on the ladder, bombed out of the finals in the first week at the hands of St.Kilda at Waverly Park. They lost by only eight points, a season of lost opportunity. The Best and Fairest was won by Mick McGuane, for the first time in his career. 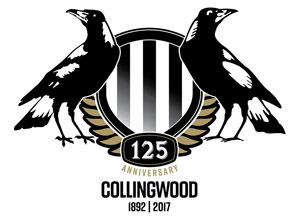 1992 was the first season that Collingwood played without Millane, Dennis Banks and Barwick – who were all club stalwarts. But Collingwood had blooded some good youngsters, such as Paul Williams and Mark Richardson, who were thought to be the great white hopes of the future, which looked bright. 1993 was once again a season of lost opportunity, where the side was prone to winning three in a row, and then losing another three just as easily. Matthews was finding his position under pressure, as his side struggled to perform. Round 22 saw the team required to defeat Adelaide at Football Park if they were to become part of the September action. However, despite putting up a brave show, they could not overcome the exciting Crows outfit. At the seasons end, names such as Morwood and Gayfer were retired or delisted, as the team looked to reinvent itself. During the season, a young lad by the name of Saverio Rocca took his first steps to becoming the spearhead of the future. Rocca, in Guernsey number 36, was a strong and powerful forward, who could take a strong mark or boot huge goals and take a turn in the ruck. McGuane was again the Copeland Trophy winner. In season 1994, Collingwood put up a brave effort, and made the finals in the new look final eight. They were scheduled to face the top of the ladder side, West Coast in Perth in the first week. It was a do or die clash, with the home side winning by only two points. It was to be premiership skipper Tony Shaw’s last game, as the Pies bowed out from the finals race. But the season wasn’t all doom and gloom, with the recruitment of Brisbane Bears star Nathan Buckley. Buckley was the typical 1990’s footballer, a player blessed with great skill, strength and courage. He could play nearly anywhere, and at times as the decade wore on, Collingwood wished there was more then one Buckley. Buckley, who shared the Copeland Trophy with first year skipper Gavin Brown, got the side over the line on many occasions, including round 22, where he gathered over 20 possessions and got the side over the line to the tune of three points. Despite the finals loss, Matthews was sure that this unit was capable of going all the way to premiership glory. 1995 was to be a bad season for the Magpies. It was to again slump out of the eight and Coach Matthews was sacked at the season’s end, to be replaced by club legend Tony Shaw. The side lost their first six games, with a tie against Essendon their only points to that stage. But, despite a poor showing for most of the season, they were required to defeat the Swans in Sydney in Ron Barrassi’s last game as Coach. Collingwood led at three quarter time and looked on their way to a finals win, only to see a Tony Lockett inspired Swans outfit run over the top of them. It was to be Hawk and Swans export Dermott Brereton’s last game at AFL level, while it was Matthews’ last game as coach. Saverio Rocca, who had scored 93 goals for the season, was awarded the Copeland Trophy. 1996 saw Collingwood miss the finals for the second year in a row under new coach Tony Shaw. They began well, before falling in a hole midseason, to fall out of finals contention. Only Buckley and Rocca were the Pies shining lights, while former Norwood rover Scott Burns showed some toughness. Skipper Gavin Brown struggled with injury for most of the season, as the Pies struggled to get it right. Although some bright young sparks got a chance, such as South Australian’s Steven Pitt and Ben Wilson, no one really grabbed the leagues eye. Buckley was named All-Australian for the first time (off the half-back flank) and won his second Copeland Trophy. Season 1997 began brilliantly for Collingwood, with wins over Port Adelaide and Melbourne in the first two weeks, before slumping to two losses to the Saints and the Blues. ANZAC Day arrived and, despite some inaccurate kicking, held on to a slender victory – thanks to new recruit – Anthony Rocca, brother of Sav. They then won the next three games, against Adelaide, North Melbourne and the Western Bulldogs – with skipper Brown on fire. There were talks of flags at Victoria Park, with an exciting mood building. However, after a terrific start against Sydney, they fell in a hole, going down by a large margin. The next week against Hawthorn at Waverly Park, Tony Shaw labelled the side insipid after not even scoring a goal in the first term. Only Brown and Osborne played to their potential, as the side began to lack the early season confidence. The club then imploded, to lose to Richmond, West Coast, Brisbane and Geelong – all but extinguishing their finals hopes. But in round 15, Nathan Buckley – in his 100th game – and Sav Rocca destroyed the Dockers by 100 points at Victoria Park to snap the losing streak. Rocca, who had been dropped prior to the game, was a late replacement for Chad Liddell, and scored nine goals while Buckley went through six opponents and gathered 43 possessions. They then went into ‘winloss’ mode, in which they won one week and lost the next. It all boiled down to the clash against Adelaide at Football Park on a wet and slippery Monday night. Despite the average conditions, both sides played an enthralling game of footy, with lesser lights Paul Sharkey and Brad Cassidy throwing their names up in the lights. However, two costly mistakes late in the game, allowed the Crows, through Rod Jameson, to come home with a win. Collingwood’s finals hopes were now shot to pieces. However, they rose to the challenge in the final round against North, where they won a gritty and high scoring match. Brown won his third Copeland, as the side was expected to take major steps in 1998. 1998 was perhaps Collingwood’s darkest hour as a football club. Both on and off the field, they imploded after such a bright start to the premiership season. After an Ansett Cup debacle against West Coast, Collingwood began the season well, accounting for Hawthorn in the AFL’s first ever twilight match. They then lost two on the trot against the Eagles and Bulldogs and were back to the field. But some bright performances from Buckley and the Rocca boys helped them destroy the Tigers under lights. Alex McDonald was also impressive, as the season got back on track. ANZAC Day is always a great occasion, and Collingwood continued their early season push to defeat the Dons once again. Sav Rocca dominated third gamer Matthew Banks on his way to a seven goal feast. They then ended a four year losing streak against Carlton the next week and again there was talk of a flag. But once again, Sydney stopped the party. After a bright start, Collingwood imploded miserably as the Swans rolled them by a big margin. They then almost gave up, as they were trampled on by opponent after opponent, and their season looked bleak. After two victories over Geelong and Hawthorn (where Shane Watson and Rocca starred), they could not manage another victory for the season. At the seasons end, Tony Shaw was almost replaced as coach by Damian Drum, but the deal fell through. Buckley was again the standout, winning the Copeland by a street and also finishing second in the Brownlow Medal. 1999 was a sad year for the Collingwood Football Club. The side only managed to win four matches – taking out the wooden spoon and also farewelling home ground Victoria Park in a huge loss to the Brisbane Lions. The season was a shocker, with new skipper Buckley breaking his jaw early in the season. Nothing went right, apart from victories over Fremantle, St.Kilda, Hawthorn and Richmond. Buckley returned from his injury and played inspiring football, and finished equal third with Matthew Allen from Carlton in the Brownlow Medal. Gavin Brown, after being released from the captaincy, played one of his best years in football, coming third in the Copeland Trophy and hurting teams from the forward pocket. Youngsters Nick Davis, Rupert Betheras, Tarkyn Lockyer and Craig Jacotine all impressed, but it wasn’t enough for Coach Shaw to hold his spot. After round 12 he announced he would step down as coach at the seasons end, and immediately, the side began to play with more passion. 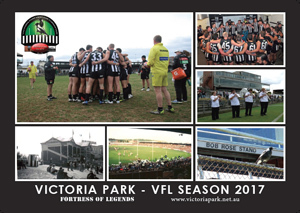 In the last game of the season, Collingwood played their last game at Victoria Park – their home for more then a century. It was a damp and cold day, and ended with a mauling at the hands of the Lions – in their first season under coach Leigh Matthews. At the seasons end, West Coast Coach Mick Malthouse was named Collingwood’s new coach, in a major coup for the side. In only three years he took them to within only a few points of a flag. Buckley again won the Copeland – his fourth. The decade that promised so very much for Magpie supporters delivered nothing but sadness. But under new coach Malthouse, success was not too far around the corner.